I am going to spend today going over one of my pet-peeves when I am around swing dancers. This annoyance is the use of the word “Rockstar” when describing swing dance instructors, particularly the international-traveling instructors. First off, I would like to say that I think the term “rockstar” in this scene is ridiculous and comical. Below I am going to just a few of the many reasons why I think this term is at best a play at humor. I’ve personally helped run about five different swing dance related workshops, and have had my hand involved in a few more besides that. Due to respect for privacy I won’t divulge any rates for any individual, but I can say on average most swing dance instructors charge between $100-$150 dollars an hour and expect travel/board & lodging expenses to be covered. On top of this there are a bunch of expenses that are part of the trade that instructors are expected to pay on their own such as; nice outfits for dances, performance costumes, their own insurance, et cetera. If you get the chance talk to a West Coast Swing or even worse Ballroom dancer and ask them the rates their international instructors charge for private lessons or an hourly rate for workshop/group classes. It is borderline embarrassing once you find out about the price gap that exists. About six months ago I went for a month straight of traveling every weekend to a swing dance event. (Stupidly I am doing the same thing again this month) I consider myself a textbook extrovert and for those of you who are into the whole Myers Briggs test, I am classified as an ENTP. In spite of this after the third weekend, I got home and spent a day mostly locked in my room reading and not wanting to deal with anybody I knew. When a dance instructor is hired for a weekend, there is a lot more that goes on besides just teaching lesson. They are expected to be jovial and welcoming to students between classes, in between classes & dances people will constantly invite you out to do things, and it is often an unwritten expectation that you spend a large amount of time at the social dances. Combine that with the wear & tear of travel and it can easily become a mentally exhausting experience. 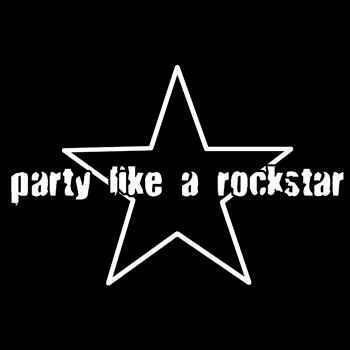 What it comes down to is I really do not like the negative connotations that come with the word rockstar. I don’t think that most of (if any) our international instructors trash hotel rooms, do lines of cocaine before social dances, or bite off a bat’s head during showcase divisions. They are actually just normal people trying to make a living at doing what they love. This entry was posted on August 17, 2012 by Apache. It was filed under Uncategorized . Oh I completely agree that most of us use the term tongue-in-cheek or sarcastic intent. This is more for the occasional situations that I hear it used seriously and/or the mindset that comes with treating fairly good dancers/instructors in a “put them on a pedestal” manner. Also good link. I’ve always wondered if dancers who grow up in a scene like LA where we have events there is only one level of competition (with exceptions such as Camp Hollywood) are affected as much by this superstar effect as people who only go to events where there is clear level separations (novice/intermediate/invitational/et cetera) for competitions. There is one situation in which it is acceptable to use the term “rockstar”: the person you’re describing is in a band that plays rock and roll, and has gained a certain amount of widespread notoriety for said music. All other uses: mock them mercilessly.